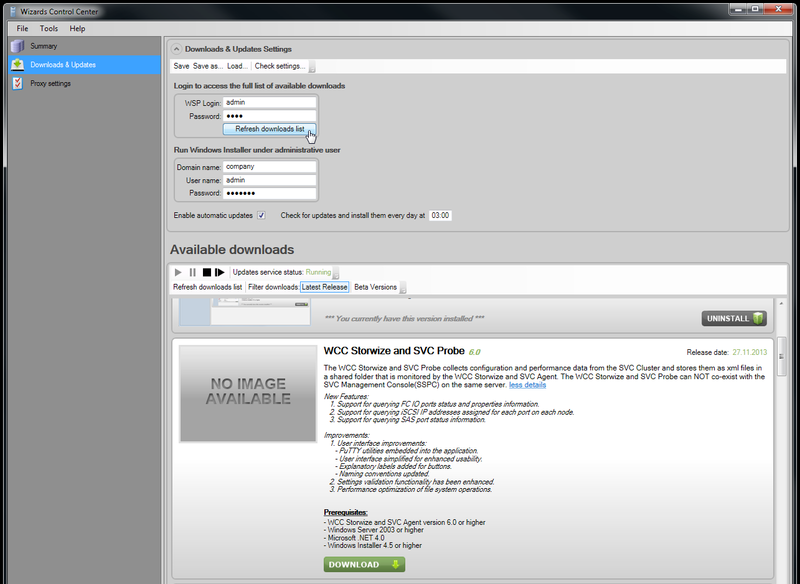 The Wizards Control Center is the application that sends data to the Wizards Storage Portal. It also contains the Agents and Probes for all the plugins for WSP and is the first thing you need to install to get started with WSP. 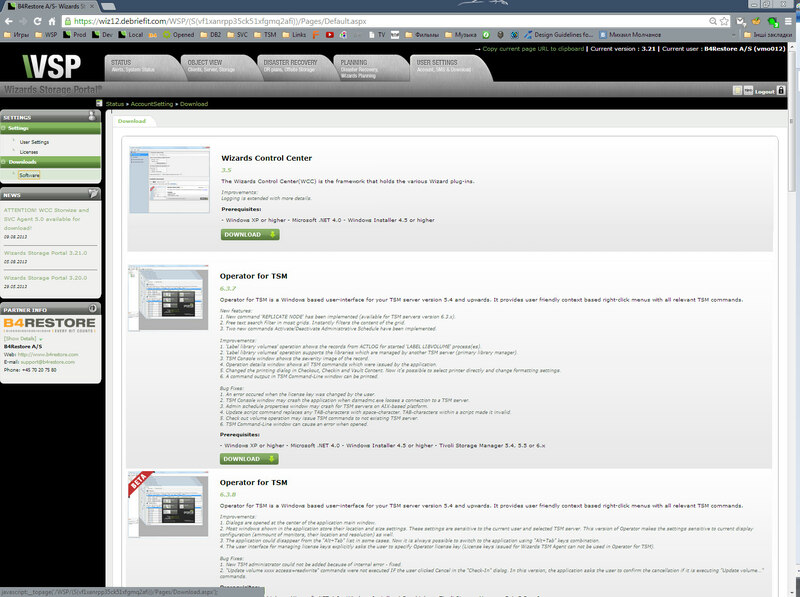 The Wizards Storage Portal receives its data from Agents in the Wizards Control Center (WCC). 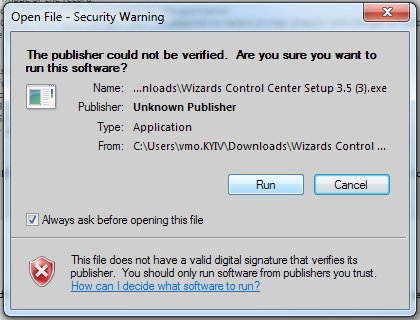 This guide covers the initial installation of the Wizards Control Center and the plug-in Agent and Probe for Storwize Systems. 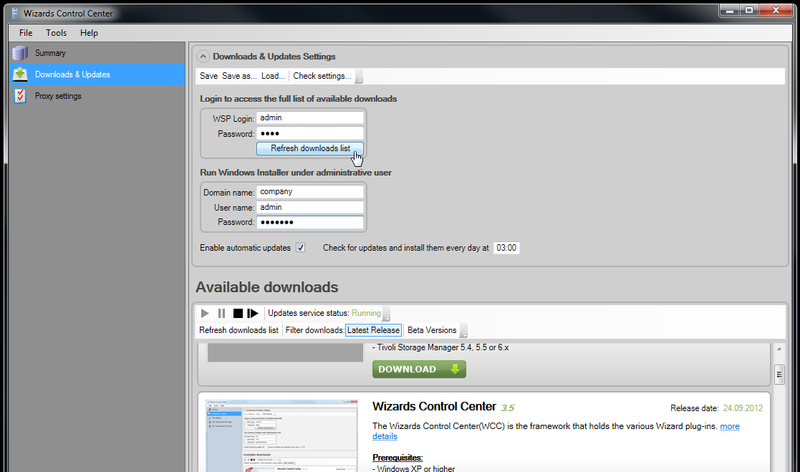 To install the Wizards Control Center, log into the Wizards Storage Portal and go to User Settings > Downloads In the download list, locate Wizards Control Center and click the download button. 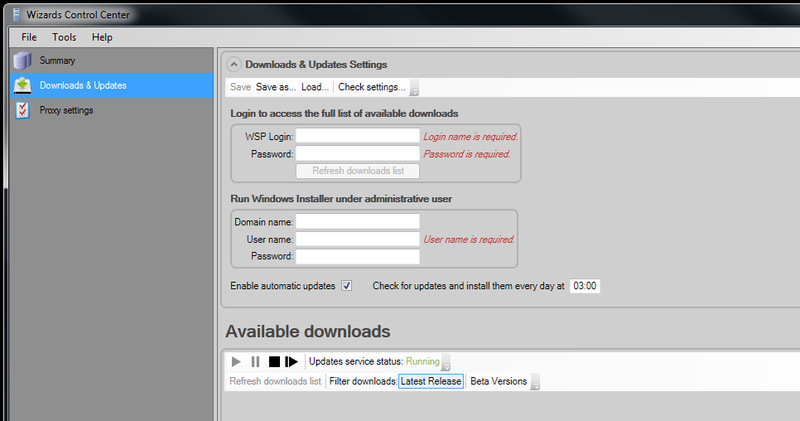 Once downloaded, you can install the plugin directly from Wizards Control Center. Click "Install"